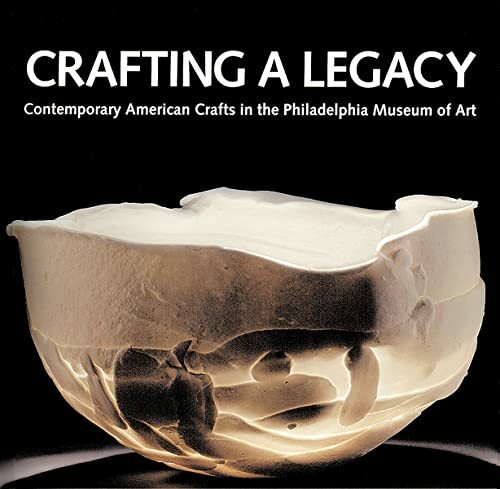 Riassunto: Published to mark the twenty-fifth anniversary of the Philadelphia Museum of Art Craft Show, Crafting a Legacy showcases the Museum's burgeoning collection of contemporary American crafts. More than one hundred color plates illustrate many of the Museum's prime holdings in ceramics, wood, fiber, glass, metal, and furniture. Entries on sixty-four featured artists, including Dale Chihuly, Wharton Esherick, Sheila Hicks, and Peter Voulkos, place their work in the context of the dynamic field of American crafts. Suzanne Ramljak reveals the valuable role that crafts play in contemporary culture and artistic practice. In a world of bland, mass-produced consumer goods and technologically mediated virtual experience, Ramljak argues that crafts - one-of-a-kind handmade objects - can reawaken our senses. In his introduction, Darrel Sewell, the Robert L. McNeil, Jr., Curator of American Art, outlines the history of the crafts collection at the Philadelphia Museum of Art, as well as the vital role Philadelphia has played as a center for innovation in contemporary crafts. The book also includes an illustrated checklist of the Museum's more than three hundred holdings in contemporary crafts. L'autore&colon; Suzanne Ramljak, writer, art historian, and curator, is editor of Metalsmith magazine.